Originating in Mexico in the 1500s, cowboys played an important role during the era of U.S. westward expansion. By the late 1800s, the American cowboy had created a reputation and iconic lifestyle that was glamorized in countless books, followed in the 20th century by Western movies and television shows. While the number of working cowboys has declined, the culture lives on throughout the West in attractions, museums, ranches, entertainment and rodeos. Few Western states embody the attitude and atmosphere of the working cowboy as much as Wyoming. This rugged, remote territory got its start with cattle ranching but eventually added leisure tourism to its economy when the world’s first national park was established at Yellowstone. Featuring a perfect mix of Western heritage and natural beauty, Cody, Cheyenne, Casper and Jackson Hole bring the lore of the cowboy to life. Cody, Wyoming was founded as a hospitality center in 1896 by the legendary Colonel William F. “Buffalo Bill” Cody. A popular gateway to Yellowstone, Cody is located 50 miles from the park’s east entrance and 80 miles from its northeast gate. The Wild West comes alive in Cody with rodeos, gun fight re-enactments, cowboy music and the world class Buffalo Bill Center of the West. Since 1927, the Buffalo Bill Center of the West, formerly known as the Buffalo Bill Historical Center, has been committed to keeping Western experiences alive. An affiliate of the Smithsonian Institution, it encompasses the complete American West experience—history and myth, art and Native culture, firearms, and the nature and science of Yellowstone. The Center of the West was the recipient of the 2012 National Tour Association’s award for Favorite Museum for Groups. The Cody Cattle Company offers an all-you-can-eat dinner buffet followed by live entertainment from June to September. The show ends in time to attend the Cody Nite Rodeo, which takes place every night June through August. Each rodeo performance is approximately two hours long with events from bronc riding to bull riding and team roping to barrel racing. Cody’s Red Canyon Wild Mustang Tour is one of the premier wild horse tours in America. Travel 22 miles outside Cody to the McCullough Peaks Wild Horse Management Area. Stand in the open prairie and observe the grace of a wild mustang, a symbol of our Western heritage, in its natural habitat. Also during the two-hour excursion, see pronghorn antelope, golden eagles, coyotes and black-tailed prairie dogs. Get ready for rough-and-tumble action at Cheyenne Frontier Days, a celebration of everything Western. Rodeos, featuring events like bronc riding and bull riding, are daily. Cheyenne, the capital of Wyoming, is also considered the capital of rodeo and railroad. Explored first by the pioneers and molded by the path of the railroad, Cheyenne attracted rowdy town bars alongside elegant opera houses, theaters and business establishments. Even today it exemplifies the romantic lure of the West. The Cheyenne Depot, a former Union Pacific Depot, is now home to a visitor center, restaurant and railroad museum. A National Historic Landmark, it has been restored to its original glory. Bit-O-Wyo Horse Barn Dinner Show, on a ranch in the foothills of Medicine Bow National Forest, features Western music and comedy following a steak dinner. Trail rides are available. The Western skits and escapades of the Cheyenne Gunslingers are performed in Gunslinger Square, located in the heart of downtown, during June and July. Shows are family-friendly and full of excitement and laughs. Performances are at 6 p.m. Thursday and Friday and noon on Saturdays, except during July’s Frontier Days celebrations, when performances are daily at noon. Often referred to as the “Daddy of ‘Em All,” Frontier Days is the West’s largest outdoor rodeo. It features the Western Art Show and Sale, Indian dancing, carnival rides and entertainment in addition to daily rodeos. Before settlers arrived in the Casper area, Native American tribes flourished on the plains for over 12,000 years. The first Indians in Wyoming were nomadic tribes that today are known as the Plains Indians; they include the Arapaho, Arikara, Bannock, Blackfeet, Cheyenne, Crow, Gros Ventre, Kiowa, Nez Perce, Sheep Eater, Sioux, Shoshone and Ute. The National Historic Trails Interpretive Center provides interactive, engaging exhibits that bring Wyoming and U.S. history to life. It interprets Native American culture and the trails of Western migration. Other themes include the Pony Express Trail and Transcontinental Telegraph. The center offers a virtual wagon ride across the North Platte River where you feel every bump and jolt of the wagon. Or sit in a virtual stagecoach and ride by wagons and a buffalo herd. The 18-minute film Footsteps to the West re-creates the lives of the pioneers; many of the stories were taken from their journals and diaries. Jackson Hole, often referred to as “The Last of the Old West,” is famous for its Western locale, cowboy culture, and world class skiing and outdoor activities. In 1890 Sylvester Wilson brought the first group of settlers over Teton Pass into what is now Jackson Hole. He came here with his family to raise cattle on the abundant grass in the fertile valley. Over 120 years and six generations later that pioneer spirit lives on. Rodeo has always been part of Jackson Hole’s culture. Each May, Jackson Hole hosts its annual Old West Days Celebration. Visitors from all over the country come to delight in the live music, theatrical entertainment, arts and crafts, delicious food and rodeo events. The lore of the West captivates visitors to the ProRodeo Hall of Fame & Museum of the American Cowboy in Colorado Springs. The statue depicts famous rodeo champion Casey Tibbs. Rodeo is to the American cowboy what soccer is to most of the world. The ProRodeo Hall of Fame & Museum of the American Cowboy pays tribute to cowboys and cowgirls participating in the professional sport of rodeo. Live rodeo animals and special exhibits are part of the museum. 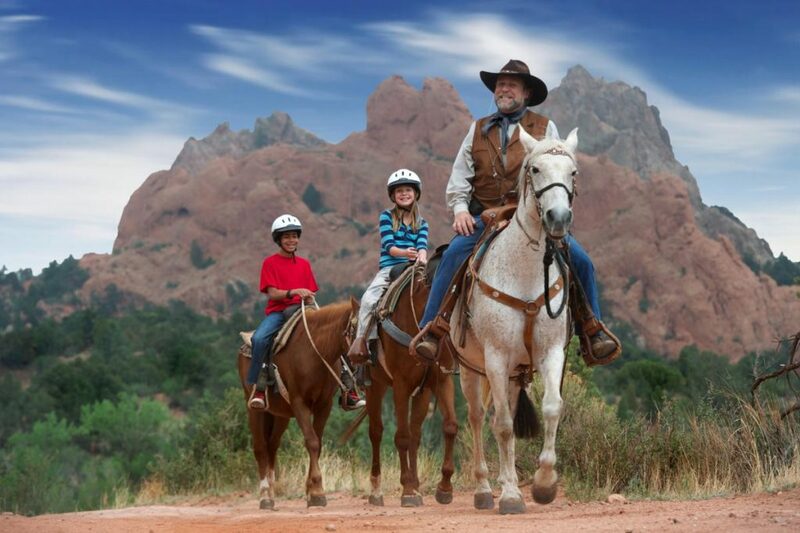 For more adventurous groups, head to Academy Riding Stables for its famed tour through Garden of the Gods Park via horseback. For experienced riders and beginners, the trained cowboys have the knowledge and skill to ensure an amazing adventure. 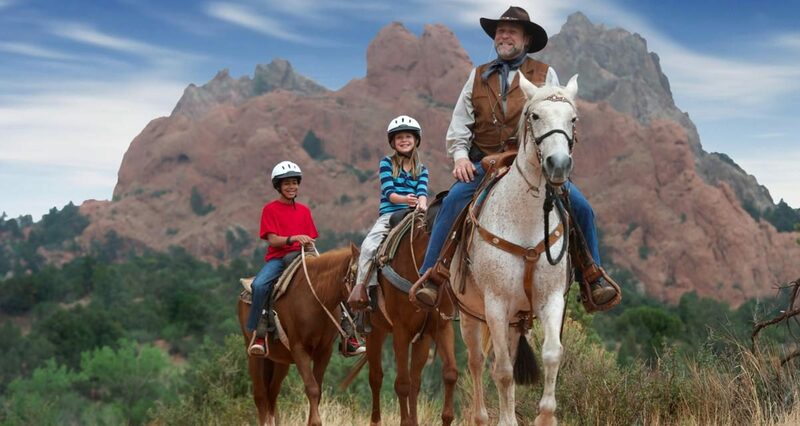 The M Lazy C is an authentic dude ranch located about an hour away from Colorado Springs. Enjoy a hayride, sing around the campfire and live the life of a real cowboy. The family-owned cattle ranch, homesteaded just over 100 years ago, provides hands-on adventures, but guests can do as much or as little as they would like. Prescott was the first territorial capital of Arizona and is home to three of the state’s most prized museums: Sharlot Hall Museum, the Phippen Museum of Western Art and the Smoki Museum. Each one explores Western culture and heritage in ways that both entertain and educate. Whiskey Row depicts some of Prescott’s earliest history. At one point it hosted a total of 40 saloons, primarily due to the gold rush culture that drew all kinds of settlers, cowboys, prospectors, bawdy girls, gamblers and outlaws to the town. Present-day Prescott celebrates the history of Whiskey Row, which is now known for its art galleries, candy shops, and, of course, its famous saloons. 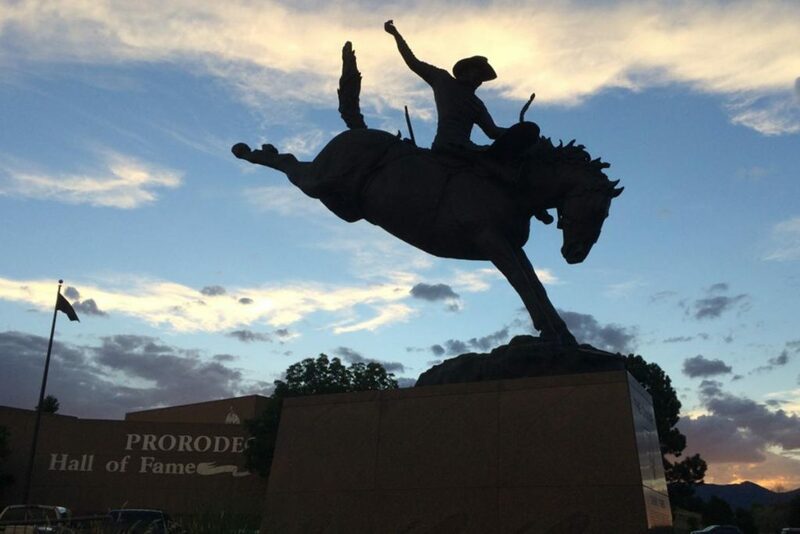 This year will mark the 131st anniversary of Prescott Frontier Days, the World’s Oldest Rodeo. It is a deep-rooted Western tradition that people from around the world come to enjoy. 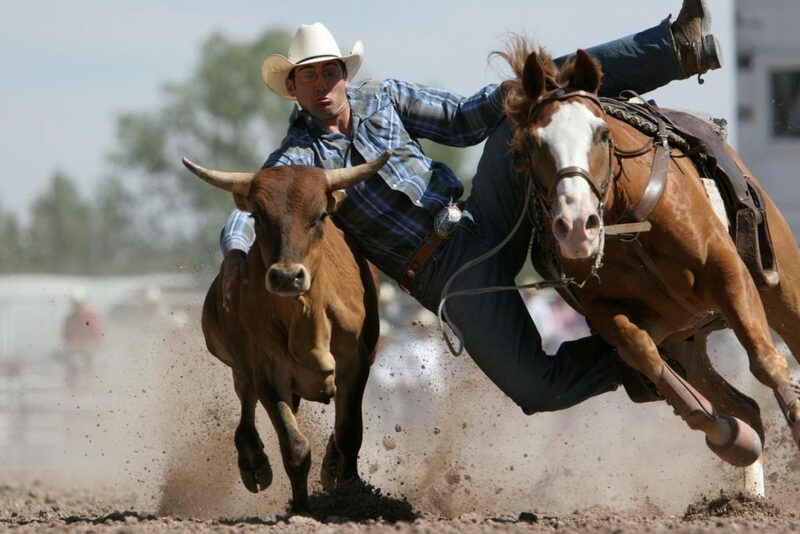 Held annually during the Fourth of July week, the rodeo has grown into eight days of first-class rodeo competition and features a host of special events like the Rodeo Dance and Prescott Frontier Days Parade. These cities and many more throughout the West provide a glimpse of the strong, independent and romantic heritage of the American cowboy. Introduce your groups to the down-home hospitality and natural beauty that make these destinations so appealing.